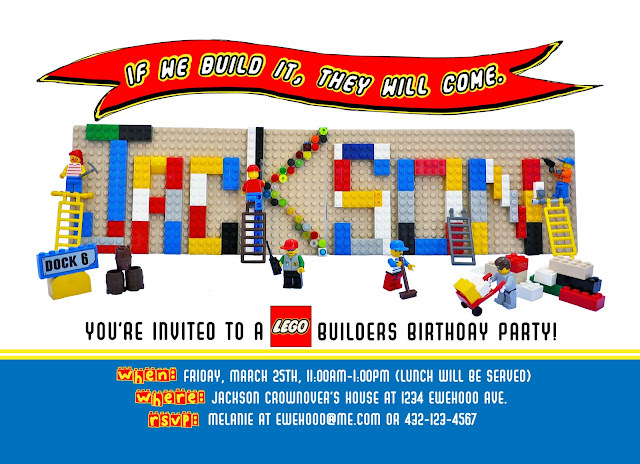 Yes, Jackson's 6th birthday was a few weeks ago, but we've been celebrating all month! And now we're counting down to his Lego Birthday Party— which is, coincidentally, on the same day as his big brother's birthday. Wesley was fine with sharing his birthday with his little brother as long as he gets presents too. Deal! Well, here's the invite I sent out. Jackson and I spent one Saturday afternoon building his name and finding all the lego men in our Lego stash. This is just a sneak peek into some of the fun we have planned. So stay tuned! 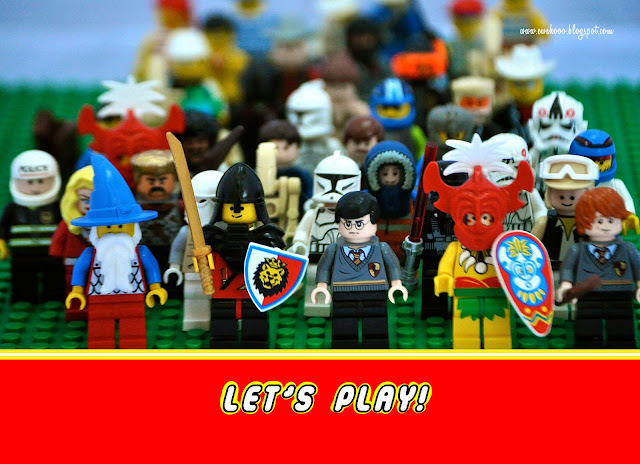 How do I make the lego online on photoshop? I have the text, but havent figured out how to add the yellow and keep the white inside. Thank you! I actually designed everything in Adobe Illustrator. However, I think in Photoshop, all you need to do is select the area you want painted white and then click on the color swatch to change it.